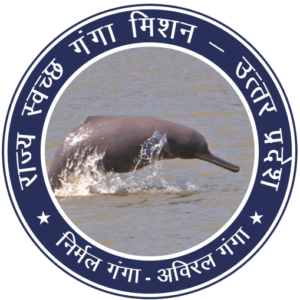 The Vision for State Mission for Clean Ganga-Uttar Pradesh constitutes restoring the wholesomeness of the river defined in terms of ensuring “Aviral Dhara” (Continuous Flow”), “Nirmal Dhara”(“Unpolluted Flow”), Geologic and ecological integrity. To ensure State Government’s consent on the programmes and structures of National Ganga River Basin Authority and obtain approval of State Government’s share in this programmes. Selection of private institutions for special purpose vehicle (S.P.V’s.) and thereafter formation of S.P.V’s. To propose works for River Front Development Works on river banks also keeping in view the improvement in the quality for river water after completion of River Pollution Controls Projects, so that the local citizens and tourist visiting the city are attracted towards river banks and to suggest necessary methods for operation and maintenance of such projects to Nagar Nigams for utilization of Nagar Nigam’s income generated from tourism, hoardings and other commercial resources. To assist State Mission for Clean Ganga-Uttar Pradesh / State Government for financial resource mobilization from National / International institutions for above works.